According to online trip planning website, IQPlanner, the release of Victoria and Abdul, Dame Judi Dench’s latest film about Queen Victoria, has caused a spike of 20 per cent in searches for holidays to the Isle of Wight. While the blockbuster TV series Game of Thrones and James Bond’s outing for Casino Royale, has triggered as exponential rise in the travel trend of set-jetting. An increasing number of fans are flocking to filming locations of their favourite TV shows and major movies, to walk in their footsteps of their idols, and experience the iconic locations at first hand. So, here are the top 5 destinations inspired by films and TV drama to help you decide where to set-jet on your next holiday. Take a regal trip to the Isle of Wight and go behind the scenes of Victoria and Abdul, the new period drama based on the real-life relationship between Queen Victoria and her Indian servant Abdul Karim. Visit the Queen’s grand and palatial family home in Osborne: the Indian inspired Durbar Room with its elaborate ceiling designed by Lockwood Kipling is just one of the rooms to appear on screen, along with the opulent yellow drawing room and the stunning Grand Corridor. The Royal Hotel, built in 1832 just before the start of Queen Victoria’s reign, is a refined, elegant historic jewel fronted by a pretty wrought iron veranda that overlooks Ventnor’s Esplanade and the English Channel. Lunch and tea served on the geranium clad veranda is an unhurried delight, not to be missed. The hotel uses some local and organic produce and south coast seafood is a highlight. 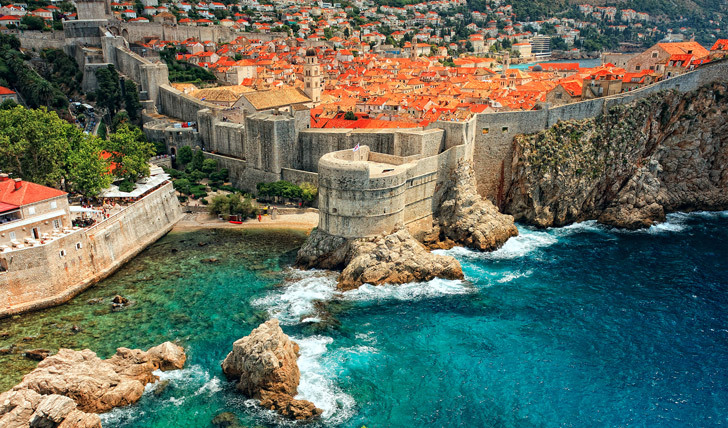 The fictional city King’s Landing in Game of Thrones can be found in the medieval walled city of Dubrovnik, a UNESCO World Heritage site located along the Mediterranean coast. From the city’s stone walls and well-preserved forts to the Pile Gate in Dubrovnik (notably in season two), fans of Emilia Clarke and Kit Harington, the show’s lead actors, can selfie themselves ‘on set’ at almost every winding street, hidden alley or spectacular Gothic building. Located on the tranquil Babin Kuk peninsula, the hotel is surrounded by pine tree forests and soothing white pebble beaches. It is renowned for its memorable gastronomic experiences in its gourmet restaurant and its wine bar terrace with panoramic views of the Elaphiti Islands. The success of Poldark, a BBC series filmed against the backdrop of Cornwall’s breath-taking and rugged coastline, has resulted in a 20 per cent increase in the number of people going to the Visit Cornwall website. Poldark enthusiasts can be transported to the 18th century and retrace the footsteps of Ross and Demelza, played by Aiden Turner and Eleanor Tomlinson. Holywell Bay, an enormous beach of golden sand is used for many encounters between Ross, Demelza and sworn enemy George Warleggan whilst the restored Levant Mine serves as the fictional Tressiders Rolling Mill. 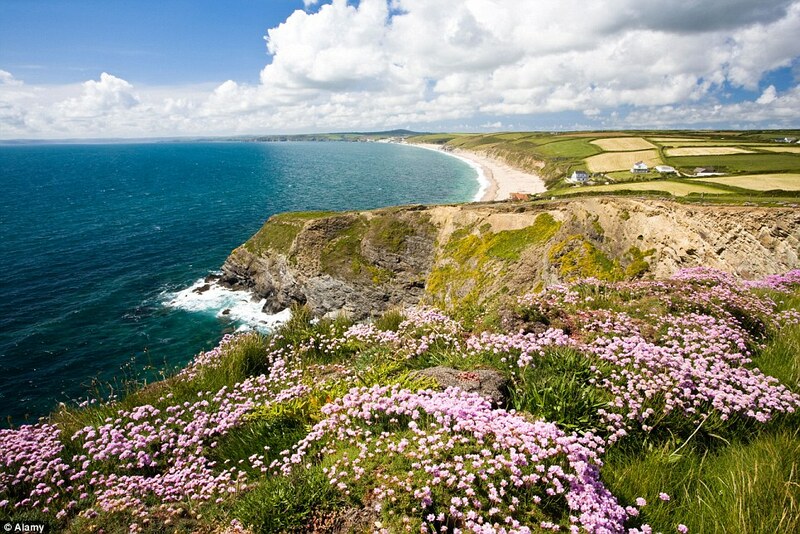 This 5-star resort was home to the cast of Poldark whilst they were filming season 2. Experience sheer luxury in stunning pine holiday lodges, only a short stroll from Portreath – one of the finest sandy beaches in Cornwall or check out The Residence – an amazing new collection of designer eco-lodges, available to buy or rent. Built in 2015, the eco-luxury lodge is dedicated to providing uncompromising luxury whilst leading the field in sustainable development in Parisian tourism. It features cutting-edge ecological innovations like purified air, renewable, solar and wood pellet energy for a zero-carbon lodge and Japanese toilets that reduce water consumption. James Bond aficionados will remember Lake Como from the movie Casino Royale, where Bond was recovering after being tortured. Daniel Craig is now confirmed to reprise his role as 007 and avid fans continue to visit the jaw-dropping Lake Como, where Villa Balbianello (which doubled as a hospital) stands majestically at the tip of the town of Lenno, surrounded by manicured trees and gardens. The area, open for tours, was also the wedding venue for Anakin Skywalker and Princess Amidala in Star Wars: Episode II — Attack of the Clones. Overlooking Lake Como, this iconic five-star property is decorated in the Art Nouveau style with lavishly appointed fabrics, period furniture and antique paintings and prints. The hotel has a stylish floating pool on the lake with unparalleled views of Bellagio and the stunning Grigne mountains.